An interrelated group of nursing home companies filed suit Wednesday against the union striking at five Connecticut locations, alleging extortion under a federal law designed to fight the mob. HealthBridge, owner of eight nursing homes in Connecticut including three nonunion locations, and a related company, Care One, filed suit against the New England Health Care Employers Union, also known as Service Employees International Union 1199NE, and United Healthcare Workers East, another SEIU affiliate. The suit claims the unions violated the Racketeer Influenced and Corrupt Organizations Act by using threats, sabotage and intimidation to coerce the companies to accept union demands. The plaintiffs allege the unions will not halt their tactics until the companies agree to allow organization of the non-union nursing homes in Connecticut, Massachusetts and New Jersey. According to the complaint, the unions want to unionize these employees without allowing them to vote by secret ballot. Rosemary Alito, a lawyer with K&L Gates in Newark and sister of U.S. Supreme Court Judge Samuel Alito Jr., filed the lawsuit in the U.S. District Court for New Jersey. HealthBridge revealed in the complaint that the U.S. Attorney’s Office for Connecticut is investigating its home in Southbury, River Glen Health Care Center, based on union allegations the company overbills Medicare. Several Connecticut politicians, including Gov. 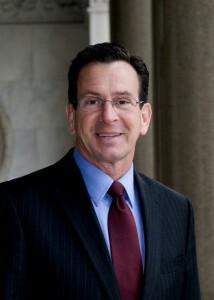 Dannel Malloy and Attorney General George Jepsen, walked the picket line with striking 1199NE employees over the summer. According to the complaint, a member of Malloy’s staff attempted to orchestrate the sale of HealthBridge’s Connecticut nursing homes by asking the company to contact an attorney representing a prospective buyer. Malloy’s office did not immediately respond to a request for comment. After walking the picket line, Jepsen recused himself from directly handling issues related to the company. HealthBridge and Care One claim the unions are putting illegal pressure on them in order to obtain additional members and contributions to shore up their underfunded pension plans. The complaint reiterated earlier claims by HealthBridge that union members committed sabotage in the hours leading up their strike, potentially putting lives at risk. According to the companies, SEIU’s campaign is unlike normal labor-management conflict or legal strikes. The complaint cites an SEIU manual, made public in a previous RICO suit against SEIU that was settled out of court, telling union organizers it is not always necessary to follow laws. According to the complaint, UHWE in Massachusetts obstructed improvements to HealthBridge nursing homes in that state, but would drop its regulatory intervention if the company agreed to SEIU’s demands. SEIU and allied groups also intimidated Daniel Straus, owner of HealthBridge and Care One, in multiple ways. According to the plaintiffs, Malloy delayed a decision on HealthBridge’s proposal to close one of its homes and required information not submitted by previous applicants. “The cycle of extortion will continue indefinitely,” the complaint says, as more nursing homes are unionized and new contracts are negotiated.